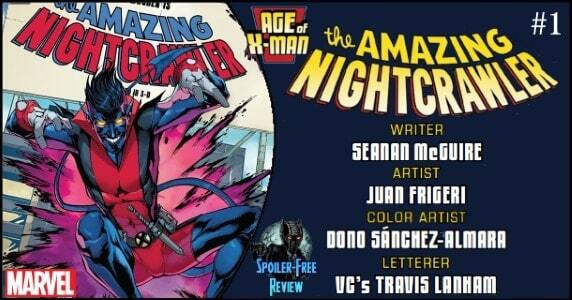 PopCultHQ received an advance review copy of AGE OF X-MAN: THE AMAZING NIGHTCRAWLER #1 from Marvel Comics. Available February 20th, 2019, the creative team for this series features writing from Seanan McGuire, art from Juan Frigeri, colors by Dono Sánchez Almara, and lettering from VC’s Travis Lanham. 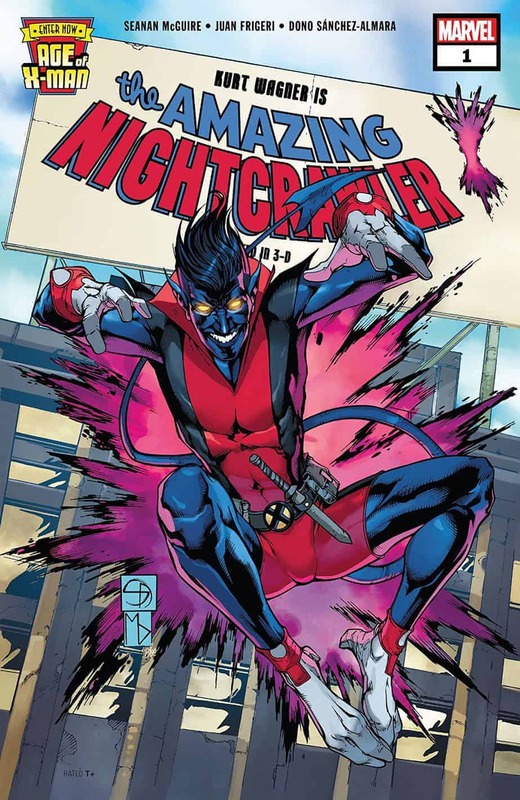 Nightcrawler is this brave new world’s most popular figure. A revered celebrity, he’s an icon. A saviour. A gentleman of roguish charm and infectious fun. He seemingly has it all…Seemingly. An accomplished author but relatively new to comics, Seanan McGuire brings something to this title that indicates a fast rise to recognition in the four-colored medium. 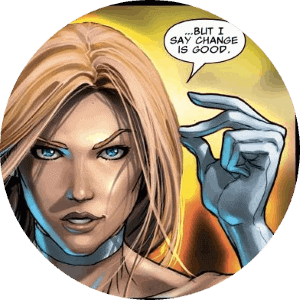 Her work on the X-Men: Black – Mystique one-shot was my favorite in the collection. She also brings distinct voice and a great sense of adventure to Spider-Gwen: Ghost-Spider. 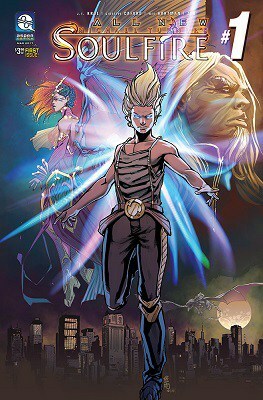 She buys into the world established for the Age of X-man over the previous titles (see earlier reviews). 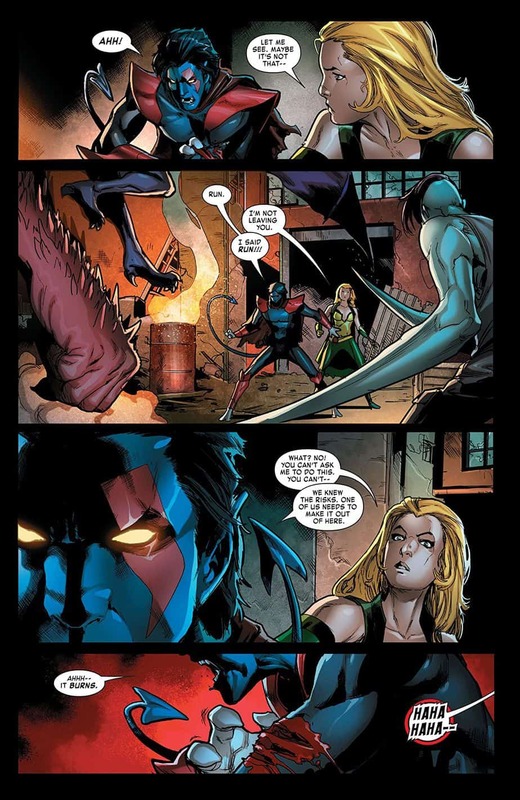 She has a good grasp on Nightcrawler’s “devil may care,” charismatic energy. Her dialogue flows naturally and rings of authenticity. She displays an intricate talent for layering the artificial world of AoX with the artificial world of filmmaking. All evidence points to this being a writer who gets it. The pacing is front-ended so the crescendo of the last few pages, while not action-packed, still hit home with weight and true impact. 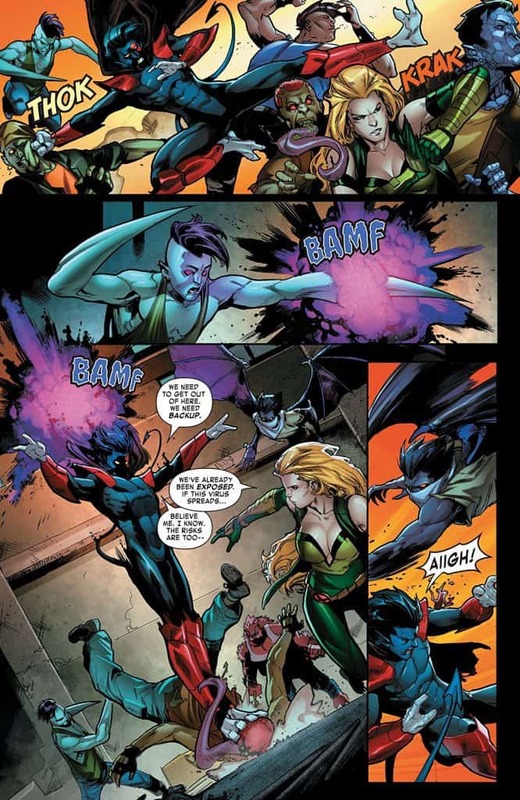 It’s always a smart decision to put somebody who’s worked across various Spider-Man projects on a Nightcrawler book. The experience of drawing the overtly-agile hero carries right into rendering Nightcrawler’s always-in-motion nature. 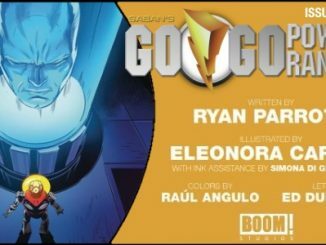 I’d love to see Juan Frigeri have a run on a character like Impulse or anything Flash-related for that matter. His style has energy and is imbued with fun. His layouts are mobile as well, and with time he’ll build further on what are already solid facial expressions. The art on this book maintains the feel visually of all the AoX books so far. 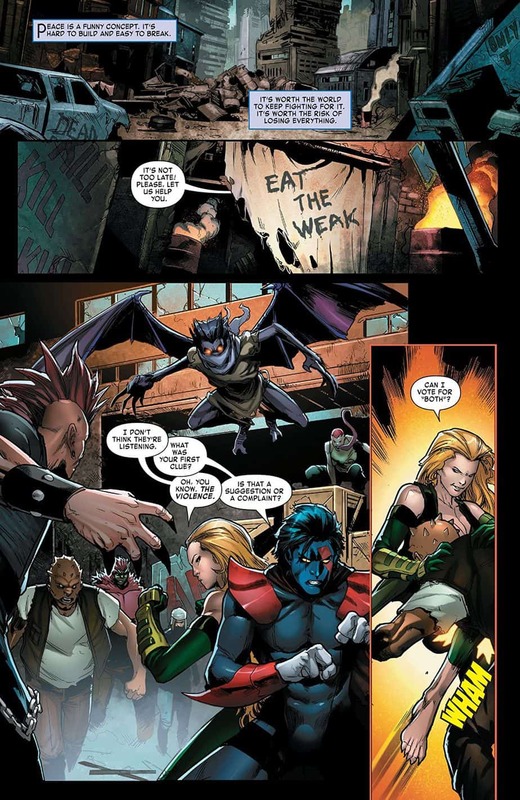 There are also welcome nods back to the ‘Age of Apocalypse’ with the costume designs and setting of the opening few pages. 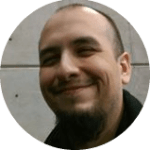 Emotional moments and underlying themes are given just the right amount of weight. Really solid work from an artist I’m also now keen to see more of. Movie sets, glamourous Hollywood parties, romantic rendezvous, and hustle-filled exchanges. A colorist like Dono Sánchez-Almara really sinks their teeth into the potential buffet settings like that call for. Dono creates an even tone throughout the issue, while allowing different settings to speak from their own color sets. The right amount of attention is granted to displays of power, as much as they are to power-free party scenes. 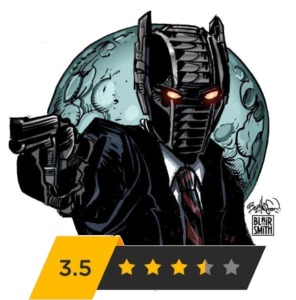 Stark contrast to the kind of work he displayed in Venom and Deadpool: Assassin, but that’s a feather in his hat when the quality is of such strong standard. Bringing the same sense of fun from Spectacular Spider-Man, the subversive undertones of Swamp Thing, and the overall strength honed most recently in the Batman: Arkham Unhinged series, Travis Lanham’s letter work glides along with the story in an accomplished way. First and foremost, he makes sure the BAMFS! are on point. Much like Wolverines Snikt, if you’re lettering a Nightcrawler book, you MUST bring the BAMFS! His impactful dialogue moments add another layer to the action proceedings, making the adventure and urgency feel tangible. 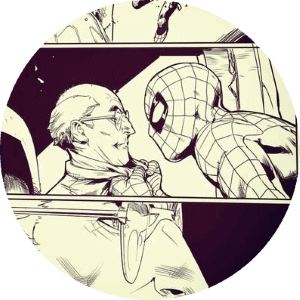 His placement is perfect too, never getting in the way, pirouetting in and out of every panel to guide the readers eye. If last week’s NextGen title left you a little blank, this will thrust you back to where you were before. 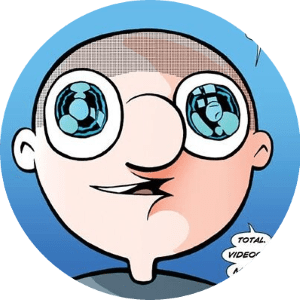 A great effort from, all things considered, a relatively new creative team that carries themselves like this comics thing is an old hat. Fun and human in equal measure, get them on the main title (or any main title) when this series concludes, because they have the makings of a reliable, solid, perfect fit for the X-universe. 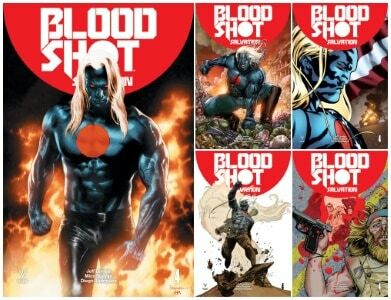 available at your local comic shop and online retailers on Wednesday, February 20th!